Please Note: BELOW IS AN ARCHIVE of the FAMILY SCHEDULE FROM MARCH 2015! *PLEASE NOTE: Most of these Easter Specials / Biblical Movies are for Mature Audiences Only! THIS HAS BEEN AN ARCHIVE of the FAMILY SCHEDULE FROM MARCH 2015! 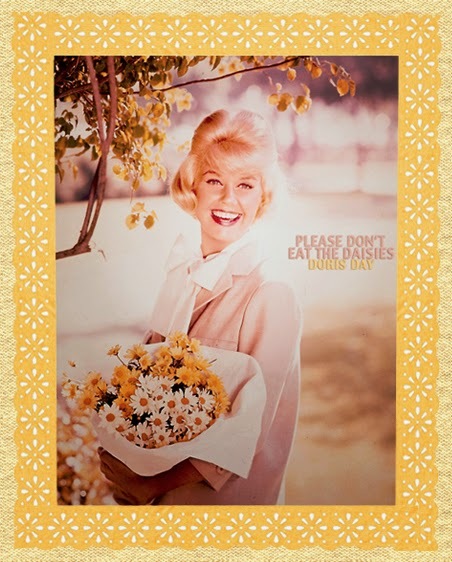 Happy Birthday Doris Day and Please Don't Eat The Daisies! 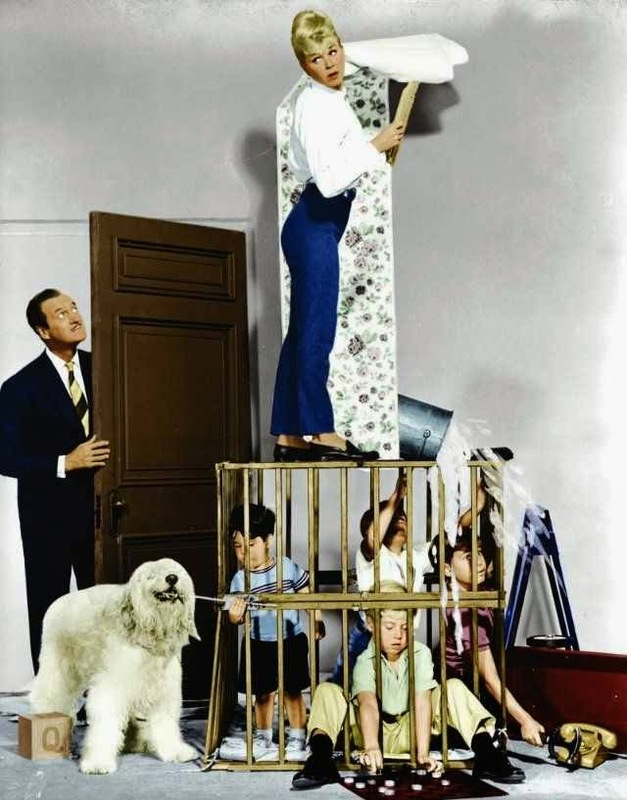 This is my annual "Happy Birthday" greeting to one of my all-time favorite actresses... the ever delightful Doris Day, with whom I am blessed to share my birthday with, on April 3rd! 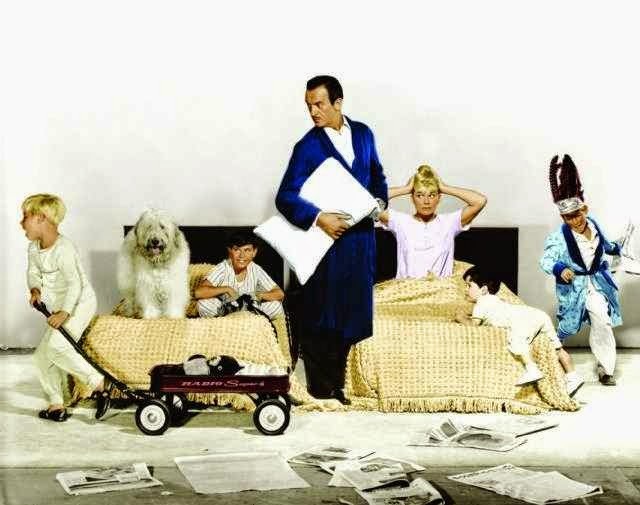 This year I am saying "Happy Birthday" a little earlier in the week - due to the fact that TCM will be playing Doris Day's 1960's comedy film 'Please Don't Eat The Daisies', co-starring David Niven on Tuesday March 31st, 2015 at 6 AM/5c. and his family try to adjust to life in the country. Please Don't Eat the Daisies is Available on DVD. 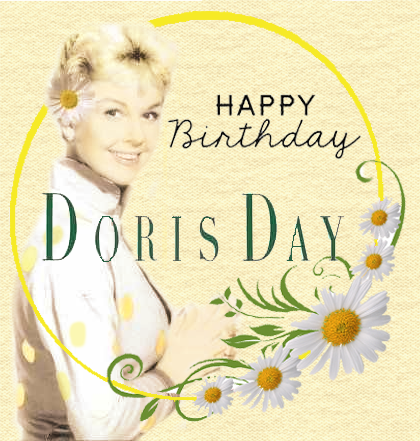 to Doris Day on her Birthday! We All Love You, Doris! And, I love sharing my Birthday with You! Stay Tuned... They Are Coming! The "It's a Wonderful Movie"
for your Favorite Family Movies (from 2014) on TV! 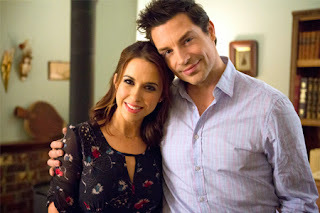 Highlights for Hallmark Movies & Mysteries - April 2015! AN OPPORTUNITY SO STARTLINGLY IMPRESSIVE, IT WILL TAKE TWO NETWORKS TOGETHER TO LAUNCH IT! For the first time in our TV history, an opportunity so startlingly impressive, it will take two networks together to launch it! A first time ever World Premiere on both HALLMARK MOVIES & MYSTERIES and HALLMARK CHANNEL - “A Bone to Pick: An Aurora Teagarden Mystery,” is based on the books by #1 New York Times bestselling author Charlaine Harris and stars Candace Cameron Bure and five-time Golden Globe® nominee Marilu Henner. Future installments of ‘AURORA TEAGARDEN’ will be seen exclusively on Hallmark Movies & Mysteries. and amateur sleuth Jennifer Shannon. Lori Loughlin is back on the case as a sleuthing garage sale maven who suspects foul play when her friend dies in an old house with a cursed reputation. Even though police evidence - and even webcam footage of the death – point to natural causes – this mysterious death in a “cursed” home poised for multi-million dollar sale seems too coincidental. Putting her keen instincts to work, she examines a few key suspects. As she digs into this deadly mystery, she uncovers clues that bring her closer to the truth, and even put her own life in danger. 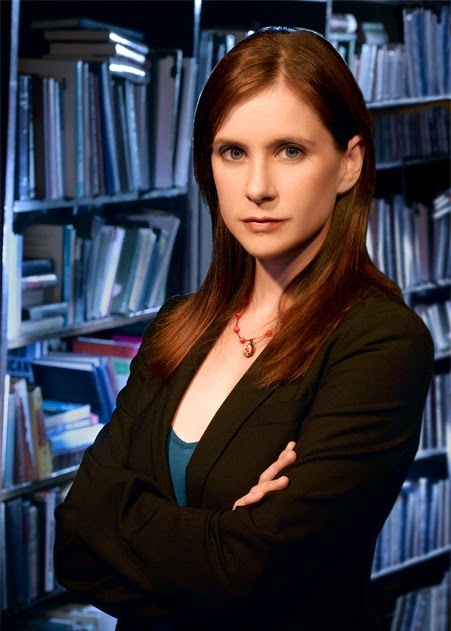 Kellie Martin stars as photographer, mystery bookstore owner, and amateur sleuth. Sleuth the day away with Kellie Martin, one of TV’s favorite amateur detectives! 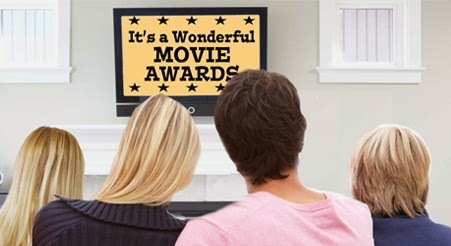 Spend your day with some of Hallmark Movie & Mysteries’ best Original Movies! Premiering this Weekend on TV... 2 weeks before Easter! March 22, 2015 at 9 PM/8c. & 11PM/10c. March 27, 2015 at 9 PM/8c. & 11PM/10c. March 29, 2015 at 5 PM/4c. via UP-TV: The UP Premiere Movie "Noah's Ark," is a retelling of the biblical story of Noah and The Ark. 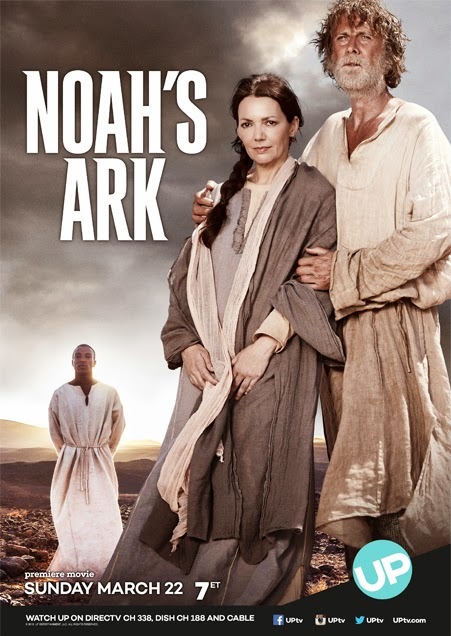 Noah, a farmer and family man, is instructed by an angel to build an ark in the middle of a desert in order to save both his family and the faithful from a devastating flood. A seemingly impossible task, especially when his sons refuse to believe him and help, Noah risks ridicule and humiliation from the degenerate townsfolk as well as his loving but exasperated family, in his quest to carry out his God-given task. Co-produced with the BBC, "Noah's Ark" is a timeless tale; a story of family and faith; about one man's belief and fixation with building the ark which will ultimately save his family and mankind. It is an obsession which leads to the fragmentation of his family, a test of their faith in their father and their father’s faith in God and everything he believes in. For additional details on Noak's Ark, see: http://itsawonderfulmovie.blogspot.com/2015/03/discover-journey-of-faith-in-noahs-ark.html. Please note: This movie was first released on DVD in 2012, but this will be it's first premiere on TV. 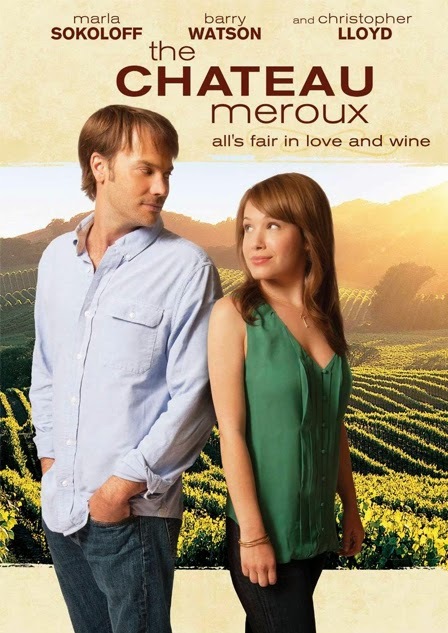 The DVD of 'The Chateau Meroux' is rated 'PG-13', however, I noticed it is has a television rating of 'TV-PG'. Whether or not, it has been edited for TV, I do not know... but, I did want to caution that many of the reviews on Amazon, say this movie contains many "awkward sexual jokes and innuendos". I wanted to be certain you were all aware of this before watching. You can see reviews on Amazon.com. 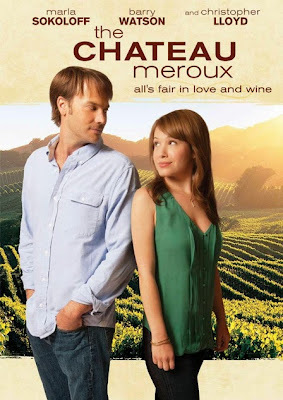 Storyline: Big city girl Wendy moves to Napa Valley after inheriting her father's struggling winery and soon falls in love with both the business and local boy Chris. But things get complicated when she learns that Chris is the son of her chief competitor. See my page on The Chateau Meroux for more details. 'DO YOU BELIEVE?' arrives in Theaters Today! 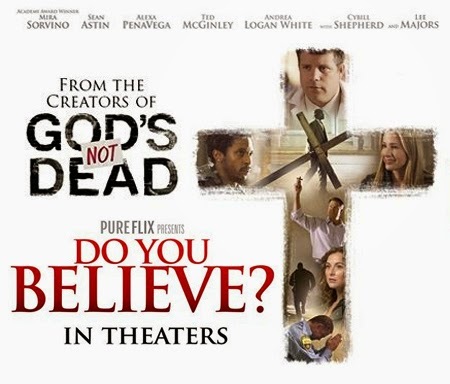 from the studio that brought you GOD’S NOT DEAD. and asking DO YOU BELIEVE? Storyline via 'Do You Believe?' official site -- "A dozen different souls—all moving in different directions, all longing for something more. As their lives unexpectedly intersect, they each are about to discover there is power in the Cross of Christ … even if they don't believe it. Yet. When a local pastor is shaken to the core by the visible faith of an old street-corner preacher, he is reminded that true belief always requires action. His response ignites a faith-fueled journey that powerfully impacts everyone it touches in ways that only God could orchestrate." 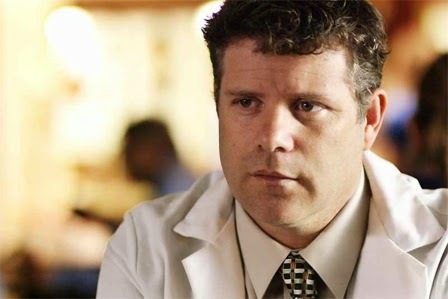 Starring in the film DO YOU BELIEVE? Andrea Logan White (The Wager, Marriage Retreat, Mom's Night Out, etc...). Visit Movieguide.com for a complete review of this film. Hallmark Rings Real Wedding Bells in June! 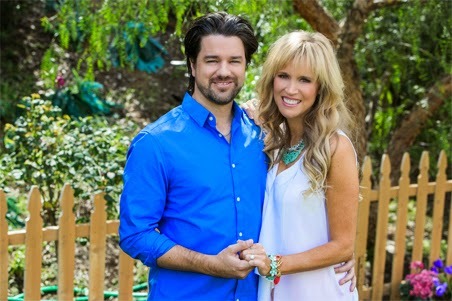 It was just announced this morning on the Hallmark Channel's lifestyle program, "Home & Family"... Paige Hemmis and Jason Short "will be Married on a very special “Home & Family” primetime event, Monday, June 22 (8pm ET/PT, 7C)." You might recall Paige Hemmis as the always 'Pretty in Pink' builder on 'Extreme Makeover' - where they would build a house for a deserving family in just one week, move that bus, and give us all a tearjerker, heartwarming reveal. Paige is currently a member of the Home & Family show - where she gives advice as "an accomplished and skilled designer, carpenter, home builder and licensed real estate broker." Paige's fiancée Jason Short has an incredible voice and is a member of the musical group ARIA, (Aussies Reuniting in America), "blending pop music with opera". The group performed beautifully on the 2014 Home & Family Christmas Special. "In the months leading up to this primetime special event, “Home & Family’s” lineup of family members"... will be assisting Paige and Jason in the planning of their wedding... as they "will contribute innovative DIY wedding tips and projects to be incorporated into the wedding and help the bride prepare for her special day". 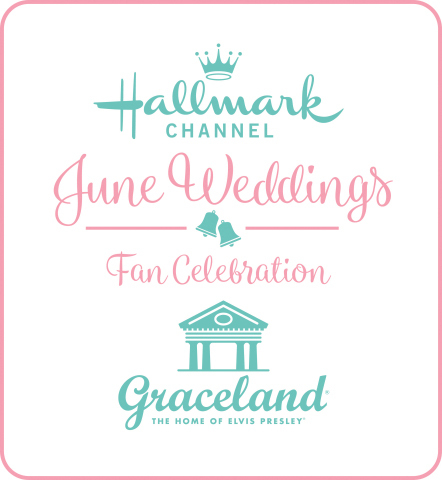 This Primetime Event will be part of the Hallmark Channel's Special June Wedding Month! 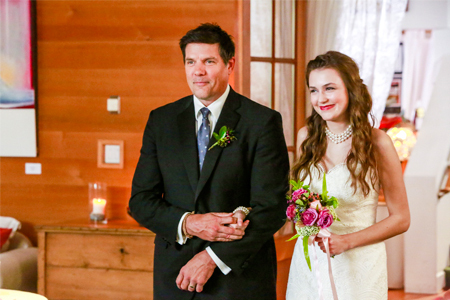 *Love, Again will air as part of the Hallmark Channel's June Wedding Month. 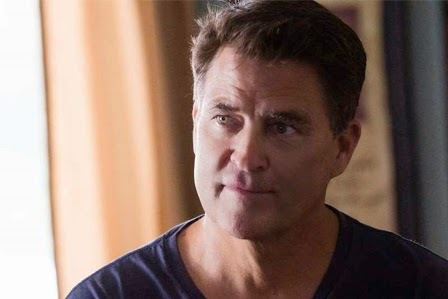 via Hallmark Channel Press Release: A couple on the brink of a divorce must work together on planning and preparing their daughter’s marriage. While they don’t want to disrupt their daughter’s happiness by announcing their divorce, they must learn to work together to keep the wedding going, and soon discover their marriage just might be worth saving. 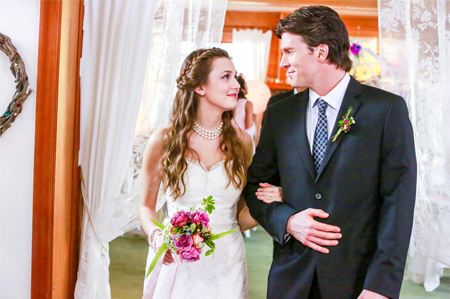 Hallmark launches CROWN MEDIA PRODUCTIONS to create Hallmark Movies! Now, the Hallmark Channel has embarked on the creation of their own production company, "Crown Media Productions". With this newly founded production company, they will begin the process of creating their own original movies, for their own network! Crown Media Family Networks, home of Hallmark Channel and Hallmark Movies & Mysteries, announces the launch of Crown Media Productions, an in-house production company aimed at increasing the company’s original content across multiple platforms. Michelle Vicary will have oversight of Crown Media Productions where it is expected that creative relationships fostered over 15 years will make the startup immediately successful. Benefits of the in-house production unit include an increase in original content output, ownership of all rights, more direct involvement with the creative process, and providing another avenue for increasing Crown Media Family Networks’ extensive film library. 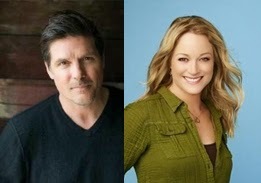 Crown Media Productions will produce up to 6 TV films in 2015, all of which will be released under the banner of a Hallmark Channel Original or Hallmark Movies & Mysteries Original. The new production shingle will target doubling of this year’s output in 2016 and beyond. The first original films to come from Crown Media Productions will begin airing later this year. ''Launching Crown Media Productions represents the next stage of the company’s evolution,'' said Michelle Vicary, Executive Vice President, Programming, Hallmark Channel and Hallmark Movies & Mysteries. 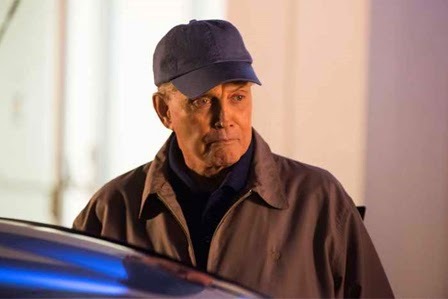 “A production arm creates the infrastructure that makes it possible for us to keep up with an ever-growing demand for more and more Original Hallmark-branded programming across a variety of platforms, and it benefits Crown Media with more direct input into the creative process and financing, rights retention, and growing one of the best family film libraries in entertainment,” Vicary concluded. Crown Media Family Networks brand has a long and storied history as a distribution banner and will now enjoy the benefits of an internal production arm. The company will provide financing for the new entity and retain all distribution rights worldwide. Crown Media Productions will have in-house creative production executives and strategic publicity and marketing capabilities while relying on the company’s overall infrastructure to power the new division. The new entity will be presented to Hollywood creative agencies within the coming weeks. First of all, Congratulations to the Hallmark Channel on the launching of this new production company. It is my sincerest hope that "Crown Media Productions" will create the type of family movies we have come to know and enjoy on the Hallmark Channel through the years. I know many Hallmark viewers, myself included, will look forward to seeing their first production, later this year. 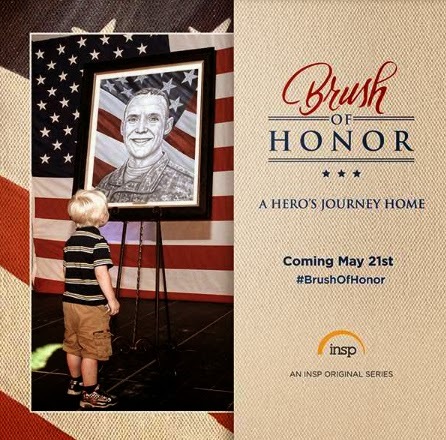 Indian Land, SC – INSP announced the premiere of an original series, Brush of Honor, scheduled to debut on May 21st with an encore presentation on Memorial Day. The announcement was made by Doug Butts, SVP of Programming. Brush of Honor follows artist Phil Taylor as he honors America’s fallen soldiers in a unique tribute. 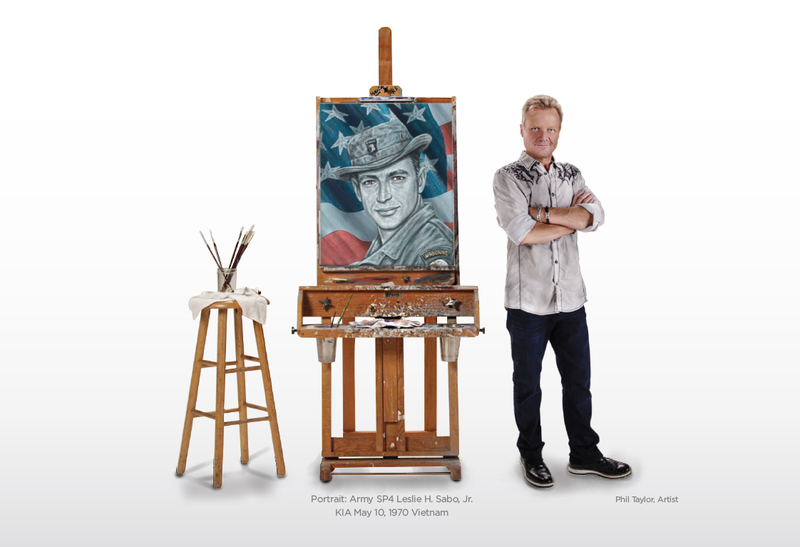 In each episode, Phil embarks on a journey to learn as much as he can about a particular soldier in order to accurately reflect the fallen hero’s true spirit in a hand-painted original portrait. He visits the soldier’s hometown and meets with family members, friends and comrades. Through this process, he gains a clearer understanding of what leads these young men and women to serve and lay down their lives for our country. Brush of Honor is produced for INSP by Austin Street Productions and Wellington Entertainment. The first episode premieres Thursday, May 21, 2015 at 9:00pm ET. Then, in a special Memorial Day presentation, two episodes will air at 9:00pm ET. For more information, visit www.insp.com. INSP is available nationwide to more than 80M households via Dish Network (channel 259), DirecTV (channel 364), Verizon FiOS (channel 286), AT&T U-verse (channel 564) and more than 2,800 cable systems. Click here to find INSP in your area. For quality dramas, positive entertainment and inspiring stories, celebrating the American spirit and honoring timeless traditional values, it’s INSP. This series will absolutely tug at our heartstrings! "Brush of Honor" sounds like an amazing tribute to our military and their families, who have given the ultimate sacrifice for our freedom. 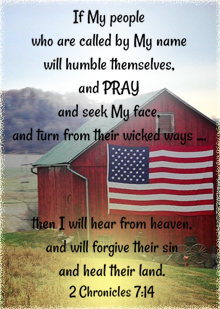 What a gift and blessing artist Phil Tyler, along with his wife Lisa, are giving to each of these families who have lost a loved one in service to our country. May God bless them and their mission. In addition, INSP is a wonderful outlet to share these stories, a dependable network which always supports faith, family, and freedom. I look forward to seeing this new series in May, and sharing it then with all of you. 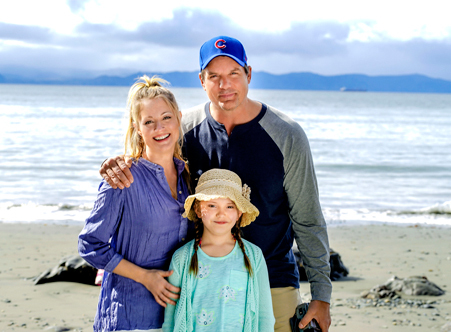 See the Newest Hallmark Channel Picture... "Portrait of Love"
Premieres Saturday March 14, 2015 at 9PM/8c. A prominent fashion photographer returns to her small town roots at the request of a friend. Surrounded by both memories and loved ones, she must consider a choice... click here to read more! *Note: The term "Picture" used in the title above refers to Movie. In the early days of cinema, people would say, "What picture is playing?" or "We're going to the pictures." 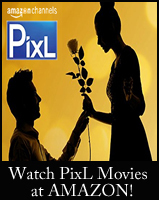 Often, the terms Motion Picture or Best Picture, etc... are still used today. Film is after all moving pictures! Using the word "picture" in place of movie, I thought would be a fun 'play on words', since this Hallmark movie, "Portrait of Love" is all about art and photography! Please be sure to visit my "Portrait of Love" page to see more images and movie details - for this all new Premiere! TWO for "TEA"! It's Twice the Chance to see CANDACE CAMERON BURE on HALLMARK in "Aurora TEAgarden" Premiere! 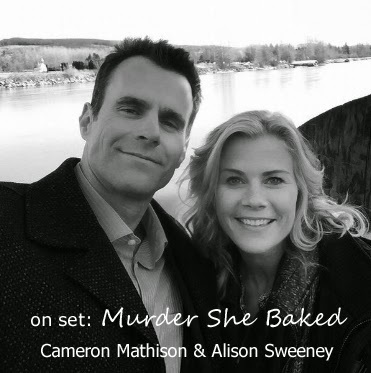 On SATURDAY April 4, 2015 at 9PM/8c., Hallmark will do something they have never done before in their TV viewing history... they will simulcast the all new Mystery Series “A Bone to Pick: An Aurora Teagarden Mystery” on BOTH - Hallmark Movies & Mysteries and the Hallmark Channel - at the very same time! 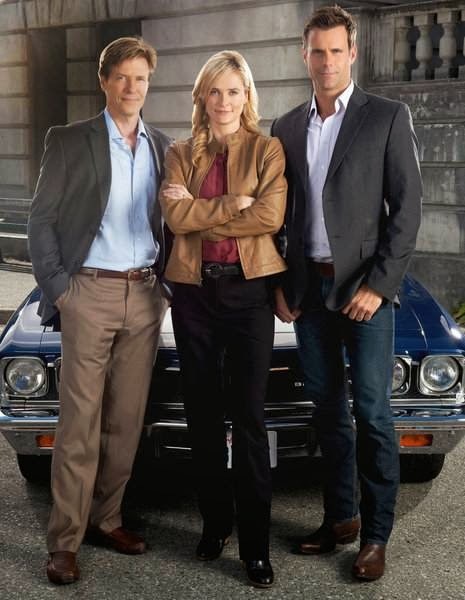 Did you also notice... Hallmark Movies & Mysteries has now moved their Mystery Movie Premieres to Saturday Nights! I certainly hope the growing popularity of the network, will increase availability for viewers to receive Hallmark Movies & Mysteries through their cable providers. The "Aurora Teagarden" movie series is based on the books by #1 New York Times bestselling author Charlaine Harris and co-stars five-time Golden Globe® nominee Marilu Henner. Marilu Henner and Candace Cameron Bure in first "Aurora Teagarden" movie. Please note: All future "Aurora Teagarden" movies will be shown exclusively on Hallmark Movies & Mysteries. If you don’t get this channel, please contact your provider and request it. Be sure to visit my “A Bone to Pick: An Aurora Teagarden Mystery” page for more images & details on this all new mystery movie series! And, please share in comments below - what you thing of this wonderful premiere news! 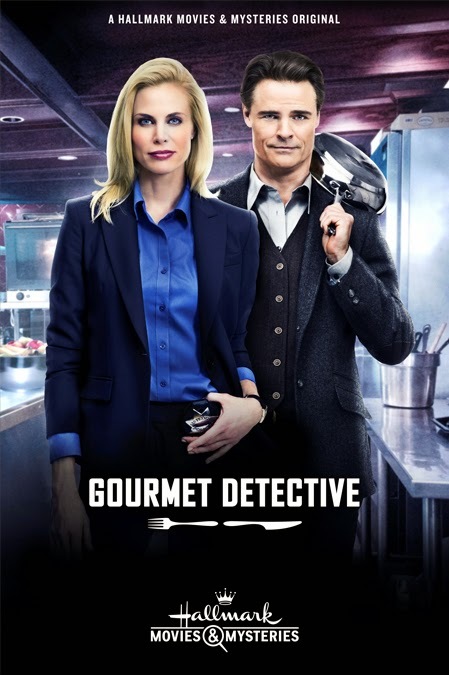 "Gourmet Detective", starring Dylan Neal (“Debbie Macomber’s Cedar Cove” ) and Brooke Burns (“The Most Wonderful Time of the Year”) will premiere Saturday, May 16, 2015 on Hallmark Movies & Mysteries. 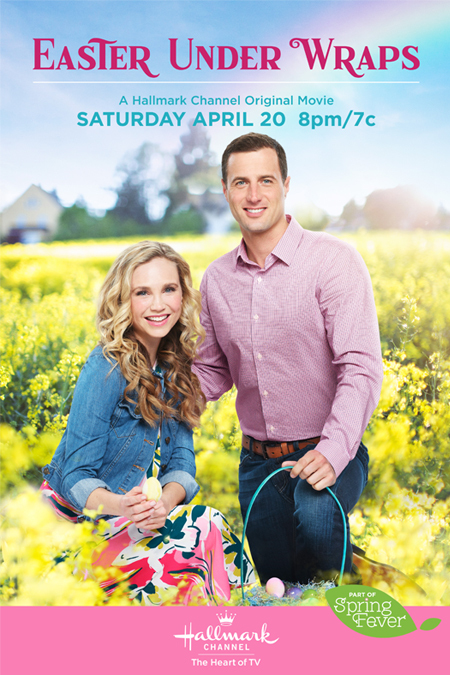 I hope you all enjoy the new premieres in Hallmark's Mystery Wheel! the real weapon may be on the menu. Date Change for Candace Cameron Bure & Lori Loughlin's Hallmark Mystery Movies! Get ready to update your Calendars and DVRs once again! starring actress Lori Loughlin ("When Calls the Heart", "Garage Sale Mystery", "Full House") will now premiere on Saturday, April 11th, 2015 at 9pm ET/PT, 8C. If your wondering... Why the date switch for these movies? ... I'm sure they moved the films up on the calendar- due to "When Calls the Heart" being moved to the end of April. Mystery solved! 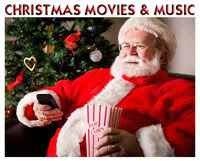 Please Note: both of these movies will only be premiering on the Hallmark Movies & Mysteries channel. If you do not have this network, please contact your cable provider to request it. Save the Date! Danica McKellar stars in PERFECT MATCH on the Hallmark Channel this June! 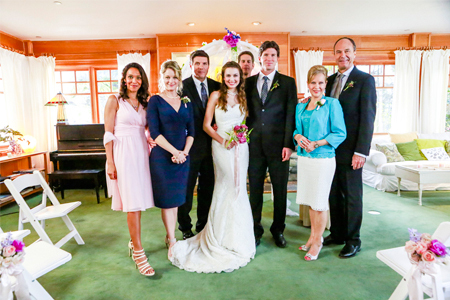 *This Original Movie Premieres on the Hallmark Channel, as part of the network’s special June Wedding Month! 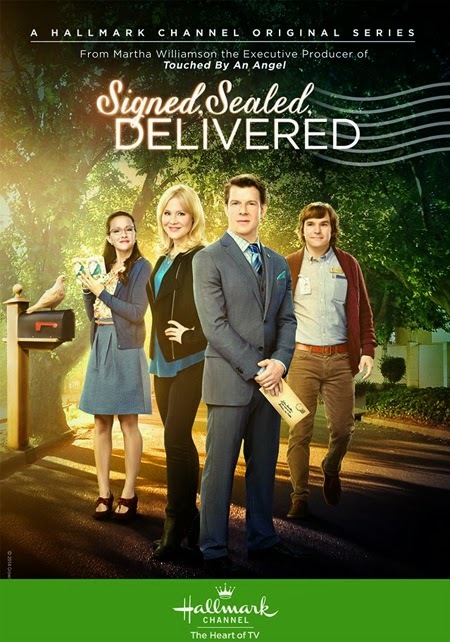 via Hallmark Press Release: Danica McKellar stars as a wedding planner extraordinaire who plans everything to perfection. However, wedding bells clash when she and a spirited and adventurous competitor are both brought on board to plan a wedding, only to discover that opposites can produce the most unexpected and incredible results.